A Path to Success: Can Google answer all questions? Can Google answer all questions? 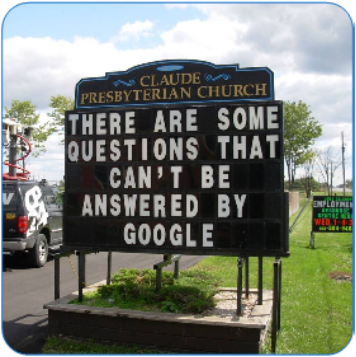 I saw this picture in a Google online seminar on the new Google Search Appliance v5. I wholeheartedly agree!